Heralding a new era in biology, scientists for the first time have created a synthetic cell, completely controlled by man-made genetic instructions, which can survive and reproduce itself, researchers at the private J. Craig Venter Institute announced Thursday. Created at a cost of $30 million, this experimental one-cell organism opens the way to the manipulation of life on a previously unattainable scale, several researchers and ethics experts said. Scientists have been altering DNA piecemeal for a generation, producing a menagerie of genetically engineered plants and animals, but the ability to craft an entire organism offers a new power over life, they said. The accomplishment, documented in the peer-reviewed journal Science, may stir anew nagging questions of ethics, law and public safety about artificial life that biomedical experts have been publicly debating for more than a decade. "This is literally a turning point in the relationship between man and nature," said molecular biologist Richard Ebright at Rutgers University, who wasn't involved in the project. "For the first time, someone has generated an entire artificial cell with pre-determined properties." David Magnus, director of the Stanford University Center for Biomedical Ethics, said, "It has the potential to transform genetic engineering. The research is going to explode once you can create designer genomes." Leery of previous moral and ethical questions about whether it is right to manipulate life forms—raised with the advent of cloning, stem-cell technology and genetic engineering—other researchers groped for neutral terms to describe the experimental cell. "I don't think it represents the creation of an artificial life form," said biomedical engineer James Collins at Boston University. "I view this as an organism with a synthetic genome, not as a synthetic organism. It is tough to draw where the line is." Already several companies are seeking to take advantage of the new field, called synthetic biology, which combines chemistry, computer science, molecular biology, genetics and cell biology to breed industrial life forms that can secrete fuels, vaccines or other saleable products. 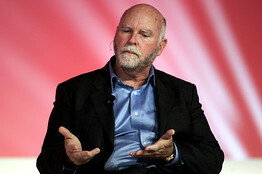 Indeed, Synthetic Genomics Inc., a company founded by Dr. Venter, funded the experiments and owns the intellectual property rights to the cell-creation techniques. The company has a $600 million contract with Exxon Mobil Corp. to design algae that can capture carbon dioxide and make fuel. The announcement Thursday was the culmination of a project Dr. Venter and his colleagues have pursued since 1995. In a series of peer-reviewed papers, the group has openly published the interim technical steps. So far, that research has withstood scrutiny. The latest research was reviewed by a panel of independent scientists and the research materials are made public as a condition of publication in the journal. To make the synthetic cell, a team of 25 researchers at labs in Rockville, Md., and San Diego, Calif., led by bioengineer Daniel Gibson and Dr. Venter essentially turned computer code into a new life form. 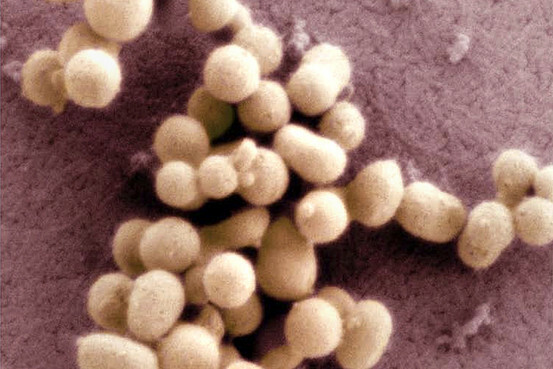 They started with a species of bacteria called Mycoplasma capricolum and, by replacing its genome with one they wrote themselves, turned it into a customized variant of a second species called Mycoplasma mycoides, they reported. To begin, they wrote out the creature's entire genetic code as a digital computer file documenting more than one million base pairs of DNA in a biochemical alphabet of adenine, cytosine, guanine and thymine. They edited that file, adding new code, and then sent that electronic data to a DNA sequencing company called Blue Heron Bio in Bothell, Wash., where it was transformed into hundreds of small pieces of chemical DNA, they reported. To assemble the strips of DNA, the researchers said they took advantage of the natural capacities of several types of existing cells to meld genes and chromosomes: They used yeast and e. coli bacteria to stitch those short sequences into ever-longer fragments until they had assembled the complete genome, as the entire set of an organism's genetic instructions is called. 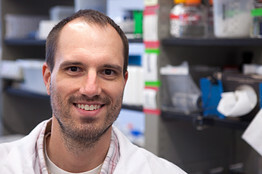 "We make a genome from four bottles of chemicals; we put that synthetic genome into a cell; that synthetic genome takes over the cell," said Dr. Gibson. "The cell is entirely controlled by that new genome." The cells reveal nothing of their novelty to the naked eye. They are so primitive they even lack a cell membrane. The scientists didn't give the new organism its own species name, but they did give its synthetic genome an official version number, like the prototype of a computer software operating system. 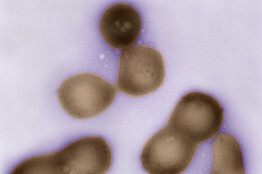 The genome is called Mycoplasma mycoides JCVI-syn1.0. To set this novel bacterium—and all its descendants—apart from any natural creation, Dr. Venter and his colleagues wrote their names into the creature's chemical DNA code, along with three apt quotations. "They put some poetry into the genome," said Dr. Voigt. The scientists also encoded an email address and the name of a website, so that anyone who successfully deciphered the quotations hidden in the genome could notify the scientists. More importantly, these genetic watermarks allow the researchers to pick out their cells from among more natural varieties and, eventually, to assert ownership. "You have to have a way of tracking it," said Stanford ethicist Mildred Cho, who has studied the issues posed by the creation of such organisms.